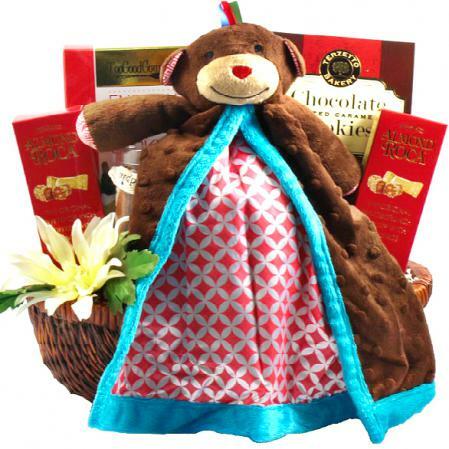 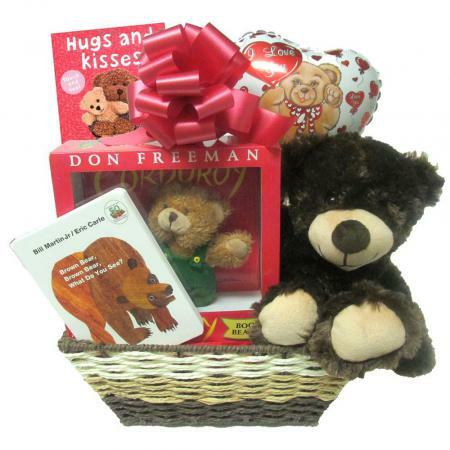 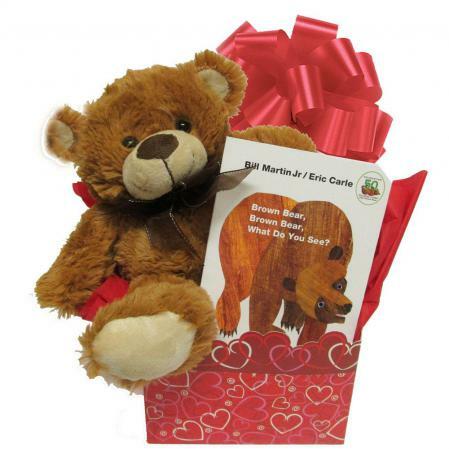 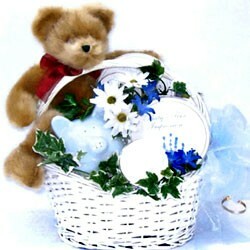 Celebrate the new baby with this plush brown and tan sweet-faced singing monkey and a basket full of new baby gifts. 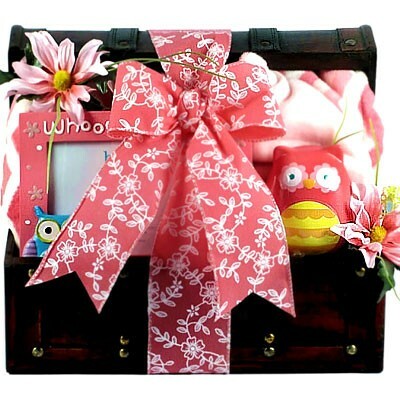 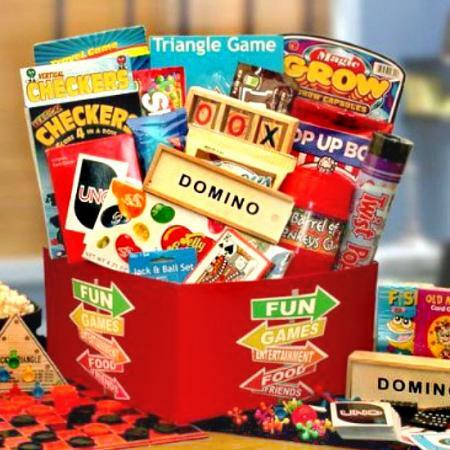 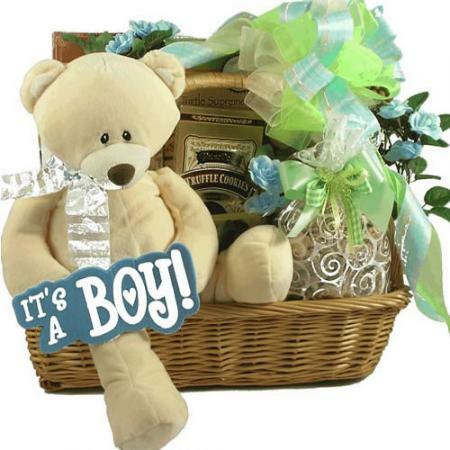 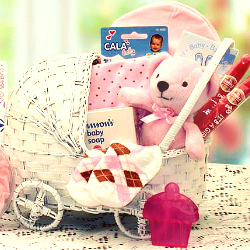 A fantastic baby shower gift! 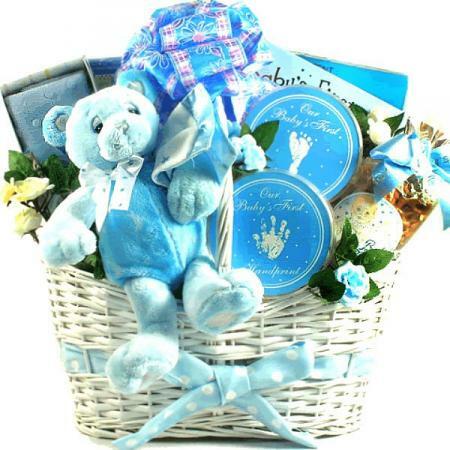 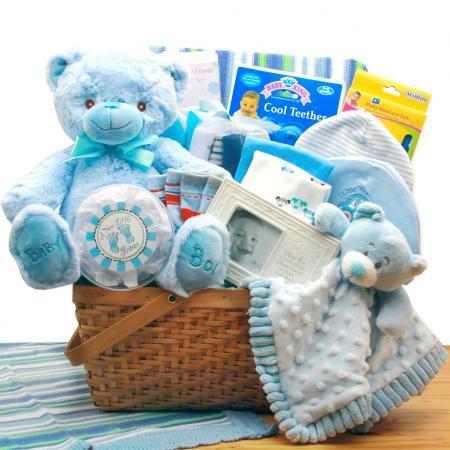 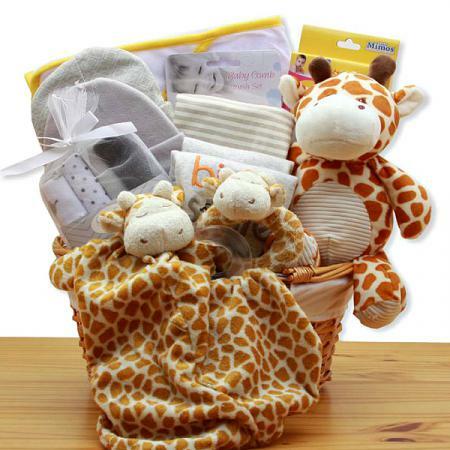 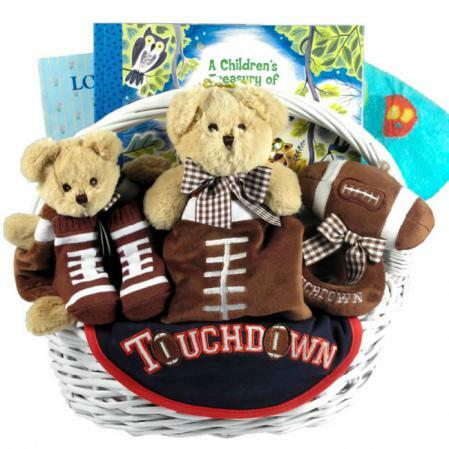 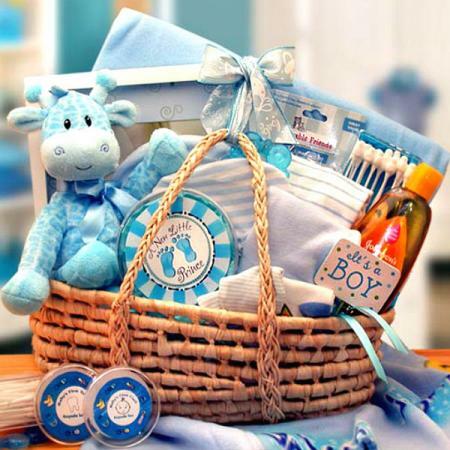 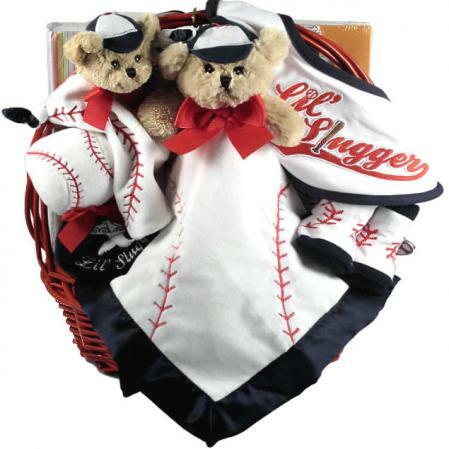 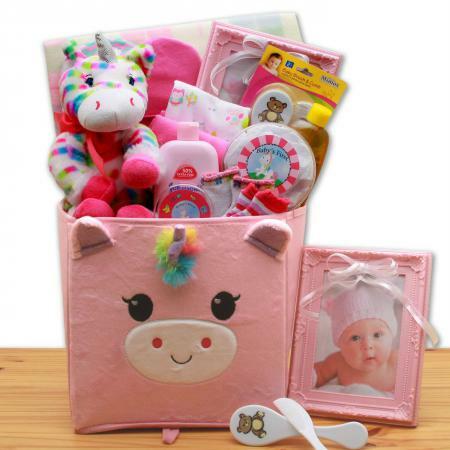 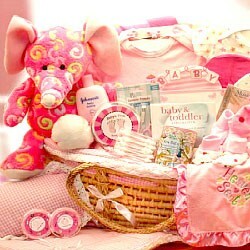 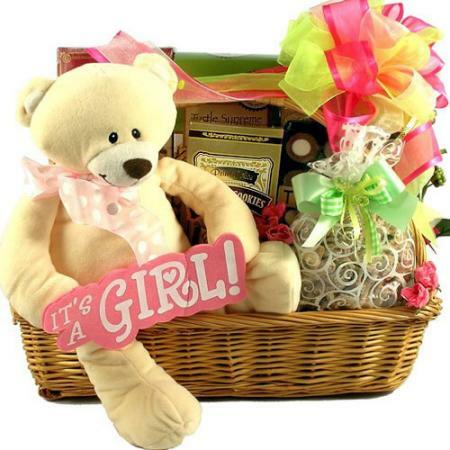 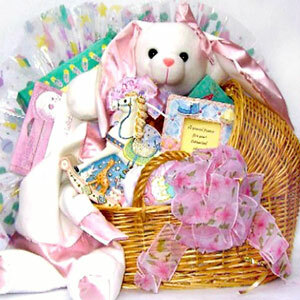 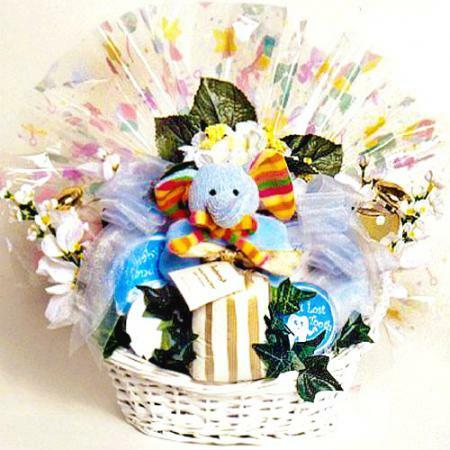 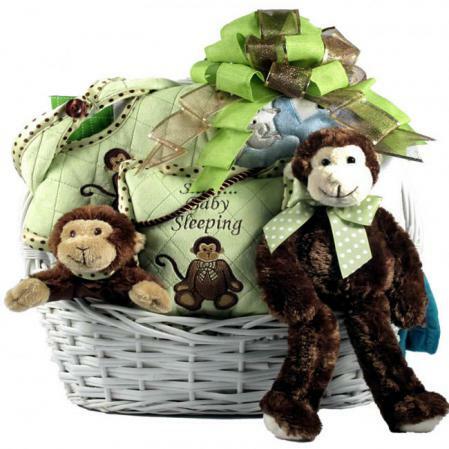 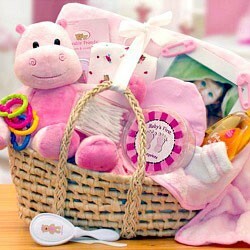 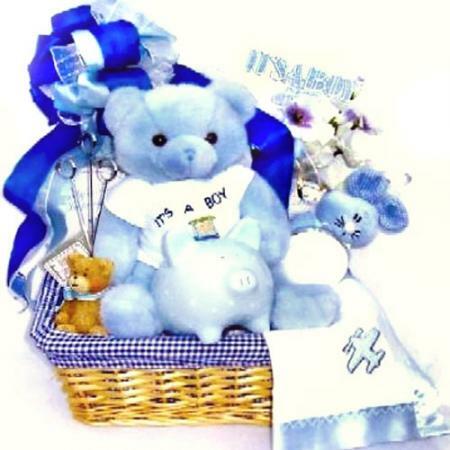 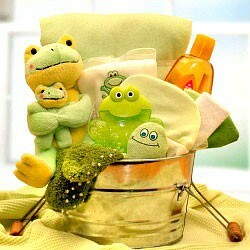 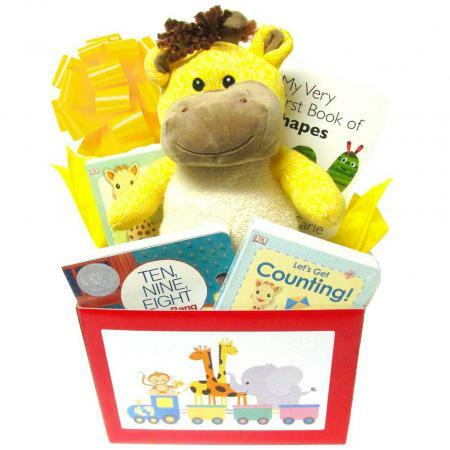 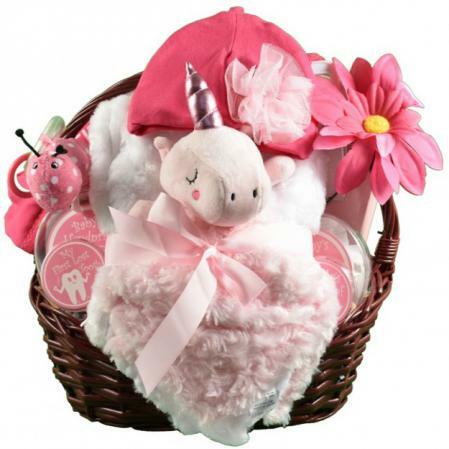 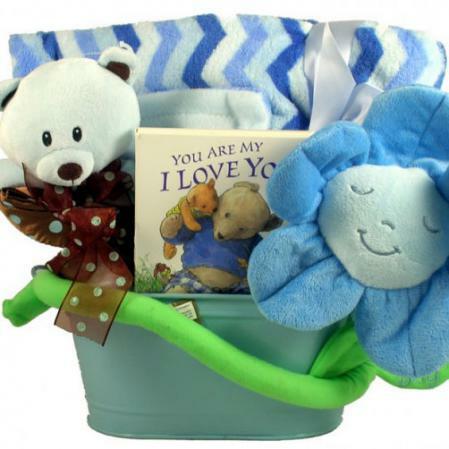 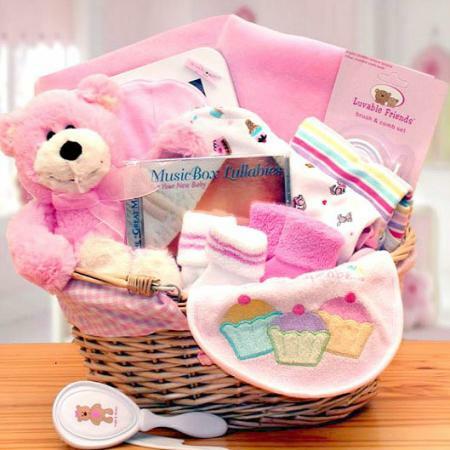 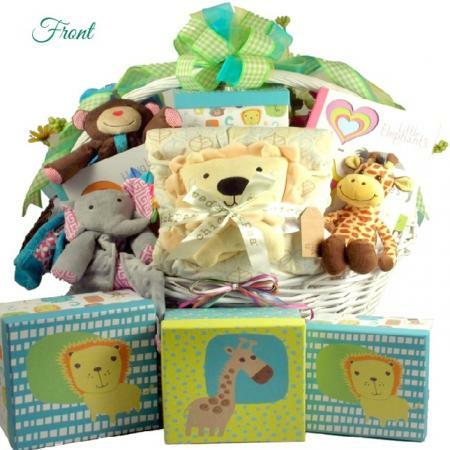 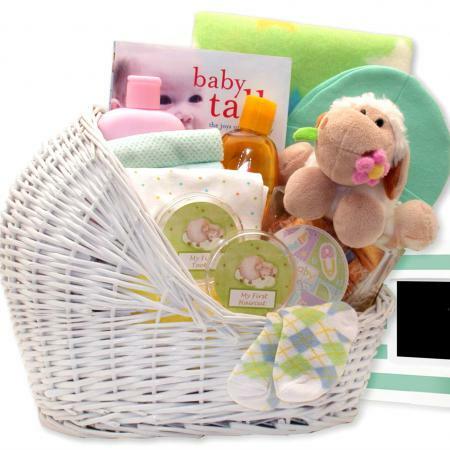 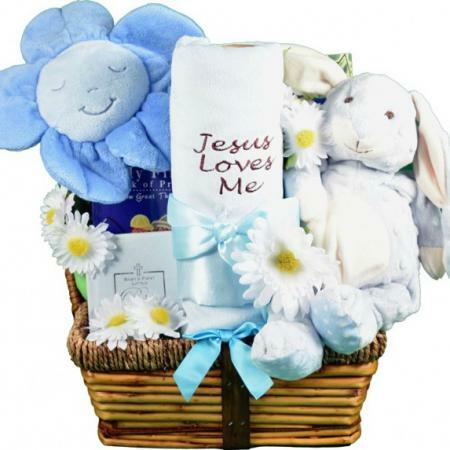 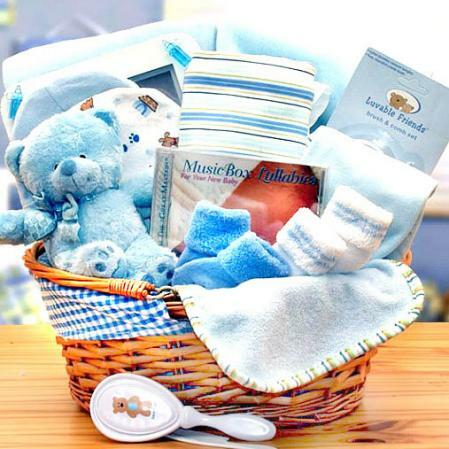 There's just no monkeying around when it comes to this delightful New Baby Gift Basket. 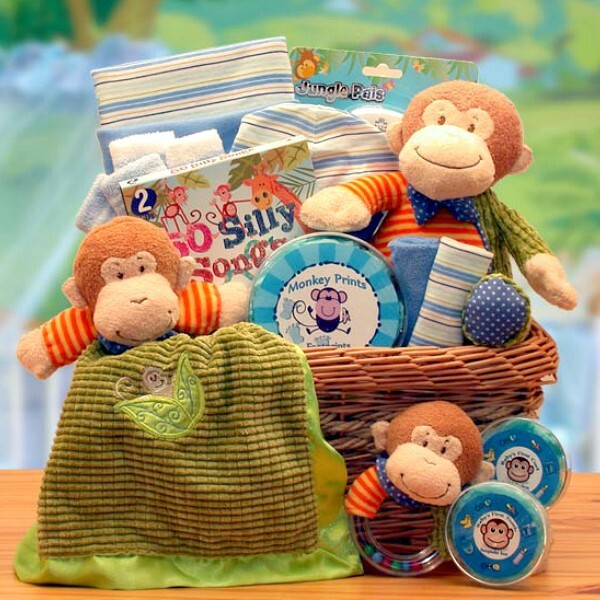 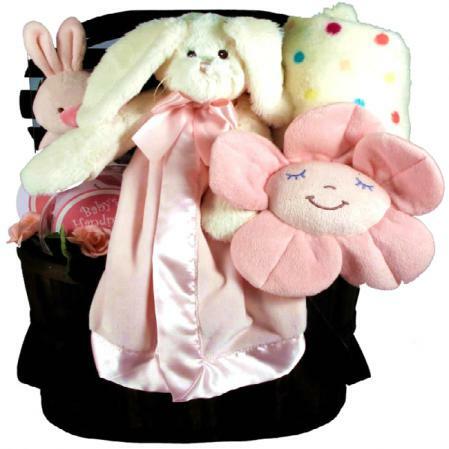 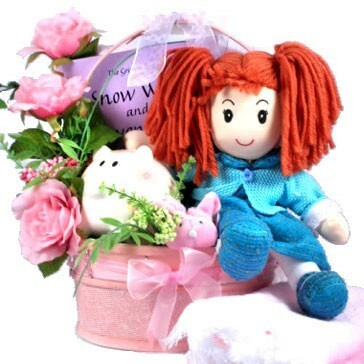 Plush singing monkey toy, matching security blanket, baby monkey rattle; assorted baby clothing, funny music CD, new baby keepsakes and more included in a natural willow gift tray.